THE FOUR TRAVELLERS were greeted by the early morning light, as the coach rumbled on over the ragged ground of a barely maintained roadway. As the sun gently rose to push away the mist, the remnants of the night slipped off into shadow. The landscape of England was still beautiful, regardless of the terrors that lurked beyond the rolling hills, forested undulating ground, and castle dominated skyline. 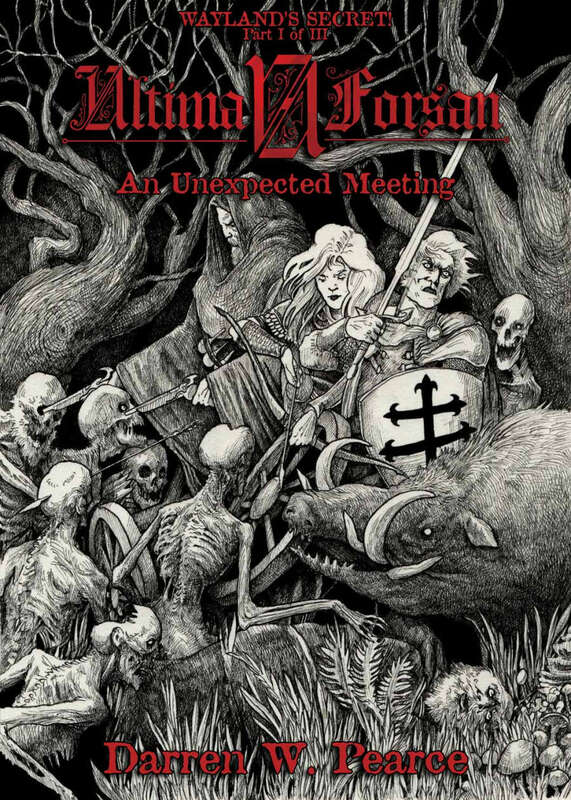 An Unexpected Meeting is the first of three parts of "Wayland's Secret", a story set in the universe of “Ultima Forsan”, a game setting developed for the Savage Worlds rules. Attached to the novel there's a roundup of gaming information for those readers that would like to start playing straight away.